For many students, the path to earning a two- or four-year degree has never been more complicated or convoluted. They’re juggling academic and career considerations with financial realities. They’re managing more responsibilities on and off campus and they’re often leaning on overstretched resources for support. Put simply, they have a tough time making — and adapting — a plan that’s right for them. Unfortunately, that means many students don’t graduate, or do so only after spending more time and money than intended. The numbers are staggering: nationwide, only 19 percent of four-year public university students and 5 percent of community college students graduate on time and on budget, according to data from Complete College America. And according to recent research from the Community College Research Center (CCRC), only about 60 percent of community college students can successfully transfer most credits when transferring to a four-year school, and 15 percent are able to transfer few credits. Students and school advisors need help — and more effective solutions. 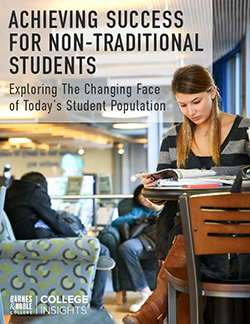 Schools like Portland State University (PSU) are centering student insights and analytics in their approach to improving student outcomes and graduation rates. PSU is building a degree planning solution from the ground up in partnership with BNED LoudCloud. The final product will help students understand their academic and financial options and chart a path to graduation. It also will help schools better serve students and leverage valuable, limited resources to improve retention and graduation rates. Since 2012, the reTHINK PSU initiative has sought to improve student success and academic engagement through more efficient use of technology. The school has engaged more than 1,000 students and faculty in the process. “It was through the insights from the reTHINK initiative that the need for a graduation planning tool emerged,” explains Hans VanDerSchaaf, Director, Projects, Office of Student Success for PSU. PSU knew that they needed a partner invested in the success of the initiative – and their students. In 2017, they chose BNED LoudCloud, a digital learning platform and analytics provider that helps colleges and universities deliver personalized learning and support to their students, driving positive student outcomes. They chose BNED LoudCloud, and the collaboration began in 2017. “BNED LoudCloud’s willingness to take this approach, and tackle the financial component, was a real differentiator,” VanDerSchaaf says. The development team learned that students find it extremely challenging to put together a plan that ensures all degree requirements are met. In fact, during student-advisor meetings, just figuring out where students are on their current degree path absorbs most of their limited time. Topics such as alternative degree paths, career goals and financial planning are often short-changed. For students lacking financial literacy, it only increases the risk they will encounter difficulties that might prevent them from graduating. The CCRC findings highlight the importance of early advising and other kinds of support that focus on helping students choose a program of study and select academic courses needed to graduate. This is especially important for low-income or non-traditional students who may be the least able to afford the time or expense of taking unnecessary credits. To counter those challenges, the degree-planning tool will allow students and advisors to compare different paths by program, credit pace, time to graduation and cost. Each plan will be tailored to the individual student and his or her lifestyle. The tool is being designed from the user point of view and will be integrated into the suite of PSU tools, and easy to access and navigate. Testing will begin soon, and deployment is estimated to begin in time for the next academic year. 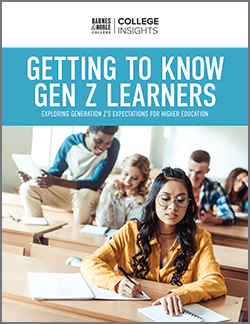 Colleges and universities are spending nearly a billion dollars annually trying to provide more effective student support and planning tools. Fried-Booth says the BNED LoudCloud team has been inspired by the work Portland State has undertaken in not only trying to understand the obstacles to graduation, but also the generation of ideas that will help solve those challenges. “The way PSU has discovered the problems is unique; but the problems themselves represent large, yet scalable, issues across the U.S. higher ed market,” he says.